This is a modestly priced range in three distinct shapes; Rounds, Flats and Filberts. All are eminently suitable for oil painters. Seamless nickel ferrules. Medium size handles are finished with a purple lacquer. I have bought three sets of these recently off KB. 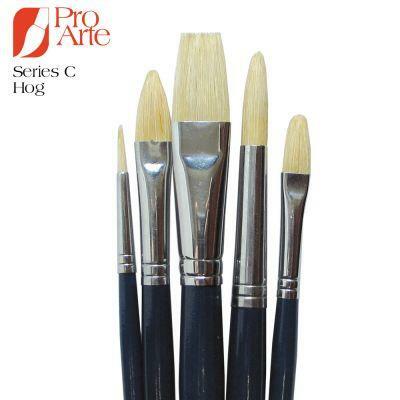 I have used these brushes for years and although I have paid much more money for just a single brush, none of them match these Pro Art Series C for longevity. When new they tend to 'shed', so I wash them three times in soap and water, NOT detergent like washing up liquid, this will stop it. They will stand up to anything you throw at them including scrubbing-in under washes and still reatain their shape if washed properly; in fact they seem to improve and become thinner and really responsive. 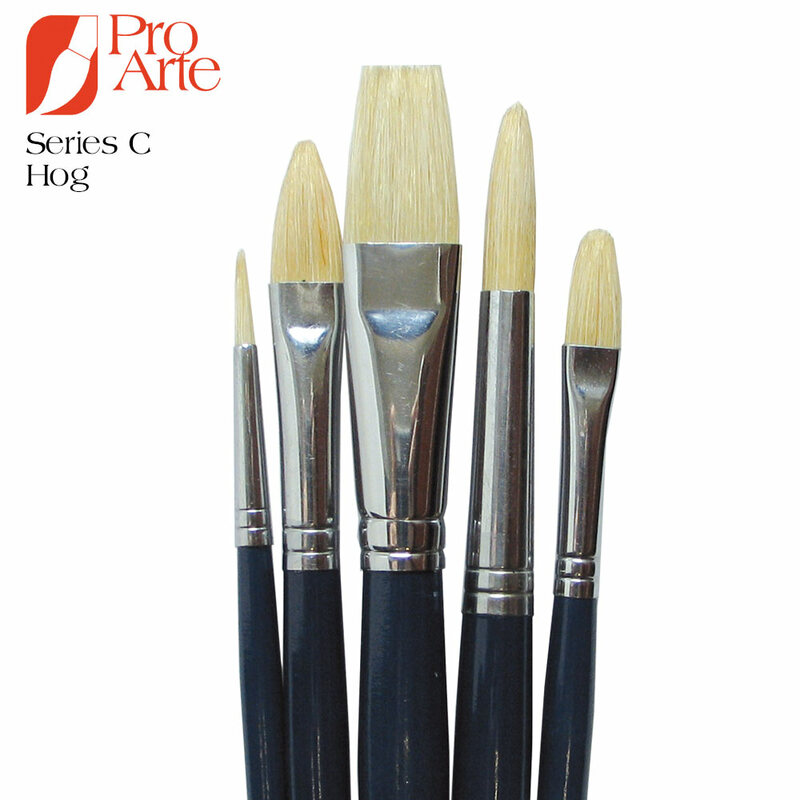 I am using these brushes to paint with acrylic onto wood. I would say they are decent brushes, but what I am painting is fairly intricate (it is a carved mask, which I will be painting patterns on). So far I have only done blocks of colour but even then I have found it awkward to stay in the area I want to paint with these brushes, even using the very smallest one. Ken Bromley's replies: The detailed work would probably be easier with the Pro Arte Acrylix brushes. See the PA10 brush wallet set.